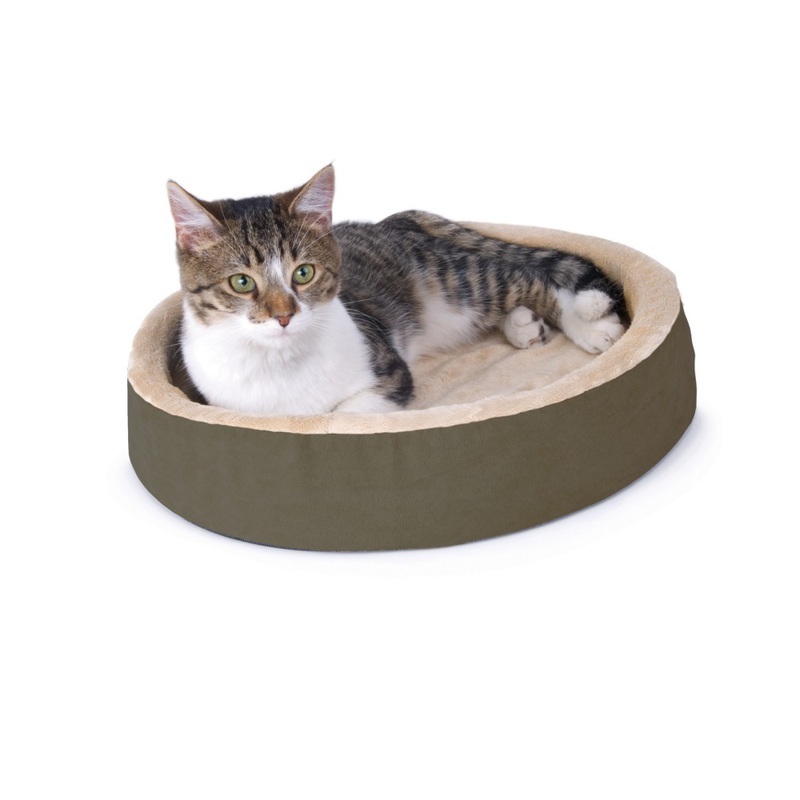 K&H Pet Products Thermo-Kitty Cuddle Up Bed Mocha 16" x 16" x 3"
Similar to K&H's Thermo‐Kitty Bed, this plush cuddle up bed incorporates K&H's super energy efficient 4‐watt heater into a low wall, affordable design. 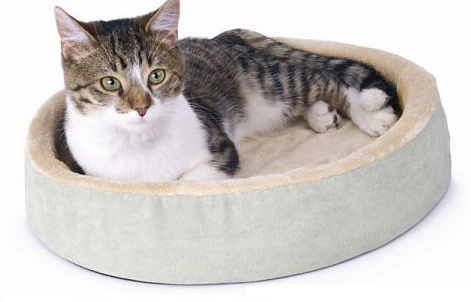 With all the amenities of K&H's best selling Thermo‐Kitty Bed, this one is sure to please even the most demanding of pets. All K&H heated beds and pads feature dual thermostats and are designed to warm to your pet's normal body temperature when he/she lies on the pad. When your pet is not on the pad, the heat will dissipate into the air and the surface temperature will vary according to the ambient air temperature.